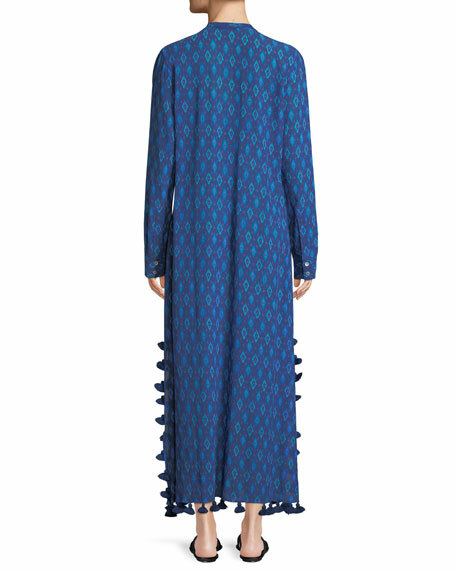 Figue "Paolina" maxi dress in mirage ikat. Band collar; button front with tassels. For in-store inquiries, use sku #2470167.